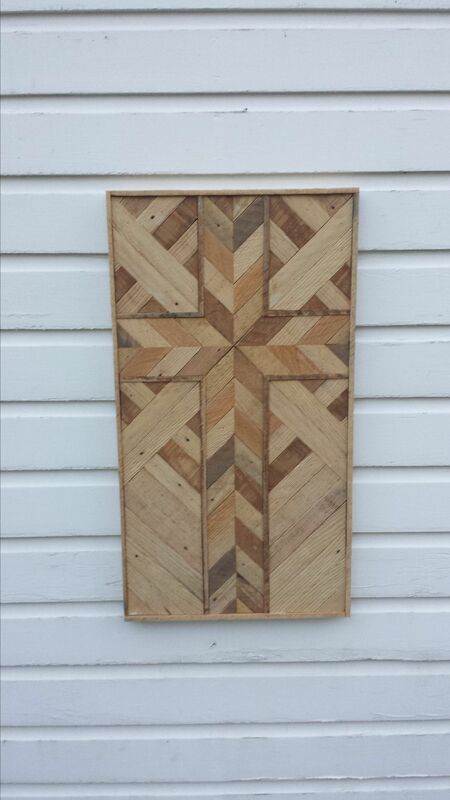 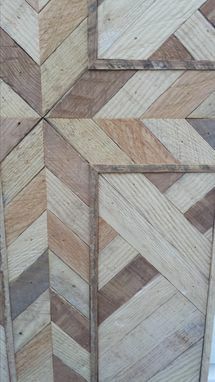 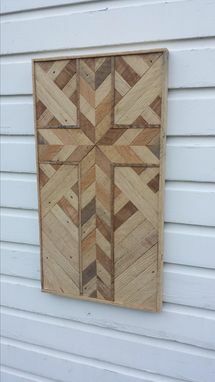 This rustic cross wall hanging is made with reclaimed lath from a house that is over 100 years old. 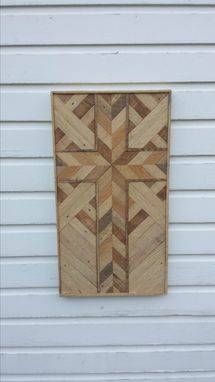 The cross is made using converging chevron patterns with rays shining out from the center. 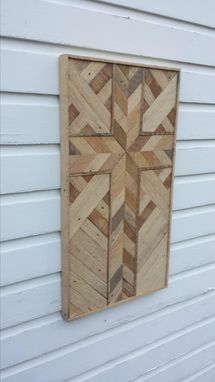 This piece is around 18" wide by 36" long.